Ramdung Peak is Bordering Khumbu, and the gigantic Rolwaling valley, Ramdung Peak is 5,930m located south of the Tashi Labtsa Pass. The Ramdung peak climbing is one of the famous trekking peaks in Rolwaling region which provides beautiful Himalayan landscape views including the Gaurishanker, Dorje Lakpa, Chobabhamre. Surrounds the Ramdung peak, there are another nice and easy climbing peaks “Yalung Ri” from Yalung la base camp pass to the Yalung Bhanjyang and Ramdung High camp. Ramdung Peak climbing trials are the entrance to upper Rolwaling from the south passing through the Khare Khola. First, make a way up to the Ramdung peak which lies in minor elevation as compared to Parchamo Peak, but a challenging and technical climb. It involves two high camps on the northeast face path. Following the Ramdung glacier from the Na village, the first-day hike to in front of the Yalung Ri Basecamp and another day we have to pass the Yalung la pass and Reach in the Ramdung High camp. 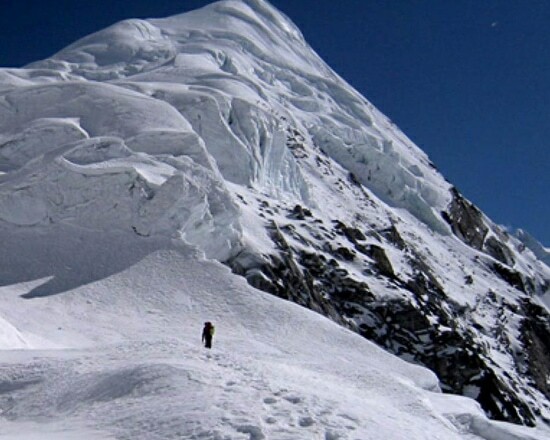 The Ramdung peak climbing is a difficulty even 5,930m. It needs 3 night 4 days from Nagaon, after summit Ramdung peak the back to Na village and continues to the Rolwaling Tashi Lapcha pass, also if customer have more time or enjoyable for the crucial climb to Parchamo then set up a high camp in the Tashi puck after the Tashilapcha pass and Summit the Pachermo too. 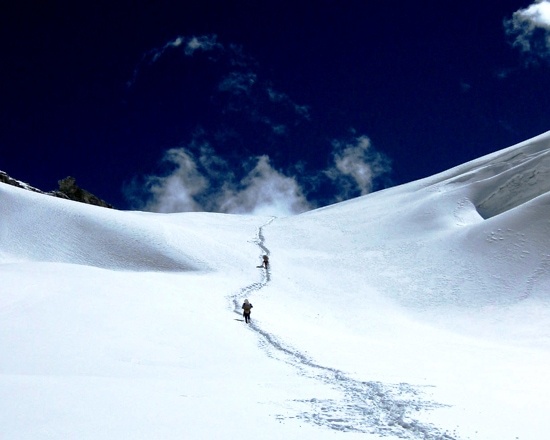 We Nepal Wilderness Trekking design Ramdung peak climbing according to trekkers schedule and desire, Do not miss out to climb this ‘hidden Rambung peak’ of the Himalayan wilderness which is just recently opened peak for climbers. 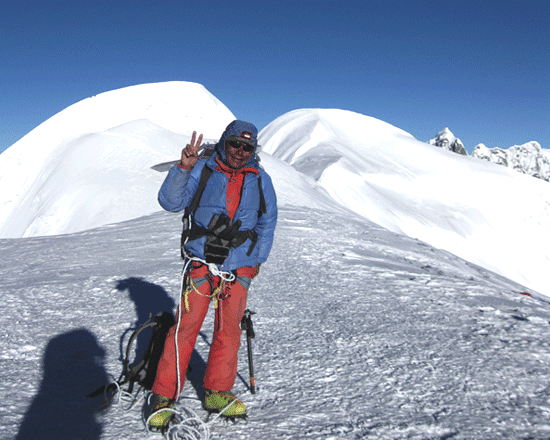 We do arrange Ramdung Peak climbing package with experience climbing guide, robust highlander porters with all require climbing equipment, camping crew, Cook, Sherpa and guide, who are locally from Rolwaling region, know better than other climbing guide and staff because of from the same area. 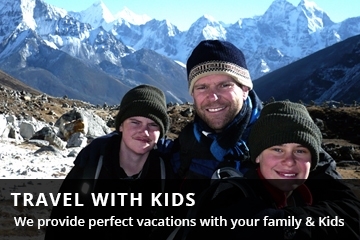 Day 02: Sightseeing In Kathmandu Today you will have sightseeing to Kathmandu Durbar Square, Swayambhunath Temple, Bhaktapur Durbar Square, Pashupatinath Temple and more. Rest of the day, you will be preparing for the trekking. Drive from Kathmandu (1350m.) to Dolakha (1660m.) via Lamosangu (750m.) and Charikot (1980m.) by bus Rest and relax at the camp. The trails From Dolakha to Shigati takes 3 to 4 hours which passes through gravel road crossing the great villages of the mixed group of people. You have to cross the several streams and jungles with varieties of orchid, rhododendron and other natural vegetation. Day 06: Shingati to Jagat (1440m) You trek through common flat land along the side of the river. You pass through rice terraced. There are small villages on your way which are occupied by the mixed community. More than a few times, you come across the jungles covered by orchid, few rhododendron trees and wild vegetation. Now you cross a suspension bridge to reach Jagat, a small town resided by people of mixed culture. Today, from Dolakha we trek along the west bank of the Tama Koshi and reach Chetchet where we enjoy a view of an attractive waterfall. We continue moving downward for an hour or more, and we again climb mounting to the village of Simigaon. Then we make a gentle walk up to the lodge. From this village, we could see Mt.Gaurishanker more clearly. Day 08: Simi Gaon to Daldung La (3976m. )On the way from Simi Gaun, you come across the Sherpa villages. The ascending trek is rich in diverse varieties of plants and Rhododendron trees. Following the uphill trek, you will now come across ascending and descending paths while enjoying the picturesque beauty of the place. If it happens to be a season, you will witness the Yak Naka a temporary Yak shed especially for the preparation of cheese and butter. Day 09: Daldung La to Bedding (3690m.) From Daldung La, the trek now goes up through different varieties of plants and Rhododendron trees. You trek over the suspension bridges over the deep gorges in few places making the trek even more enchanting. You finally reach Bedding which is a big Sherpa village. Day 10: Rest day at Bedding for acclimatization We have a rest day today for acclimatization and have panoramic views of mountains like Mt. Gauri Shanker, Tibetan mountains of the Tibetan border. On the way to Na from Bedding, we will see terrain full of the extraordinary scenery of the surrounding high landscapes, and the snow-capped peaks. We need to stroll to accustom ourselves all the way up to Na Gaun. From this village, we can view the beautiful summit of Chobutse 6,689m rises above the Tsho Rolpa Lake and Trakarding glaciers. Today, after a long trek you may have full day rest at your camp. In the daytime, you can travel around the local areas. At night you will be entertained by a dance party in the Camp with Nepalese folk songs. Rest and relax at the camp. Day 13: Na (4180m.) 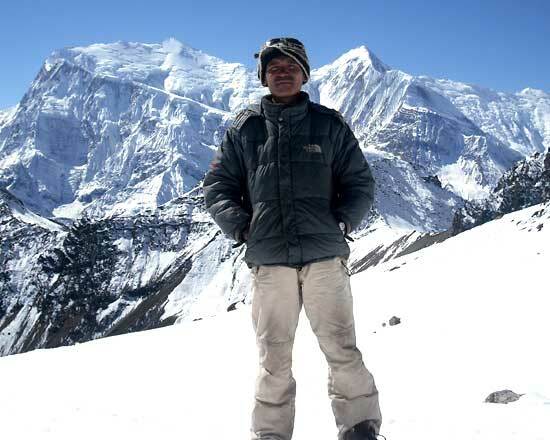 to Yalung Glacier (4750m.) 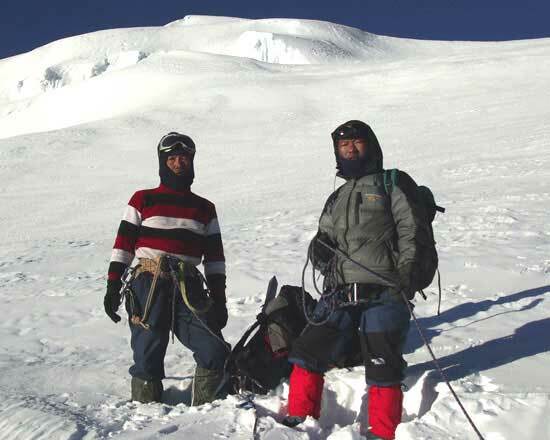 From Na, the trek goes up high glacier walk with the land enhanced with white ice all over with crampon and ice sacks. You will be staying overnight in the Yalung Glacier high camp. You keep on ascending until you reach Yalung Danda, and then you trek steep incline up the path to Base Camp. The way you pass through is of the rocky glacier. You will be able to observe an assortment of views of mountains like Gauri Shanker, Menlung, Yalung and the mountains of the Tibet. Early morning climb the Ramdung peak 5,930m with your climbing guide, from the peak you can have scenic views of Gauri Shankar, Menlung, Yalung, Pigphero go sharp peak, Number Himal, Yalung peak and the mountains of Tibet. After summiting the peak back to Yalung base camp. Day 16: Yalung Glacier to Na Today, we descend back to Na; you will be able to get pleasure from the scenic beauty of the environment. Day 17: Rest in Na After trekking in high altitude, you will have a rest day today. 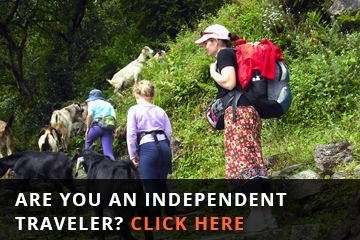 You will be preparing for the trek to Tso Rolpa Lakeside as an optional visit. Day 18: Tso Rolpa Lake (4540m.) You will be trekking through the flat and progressively up the path. You will be able to observe the beautiful natural lake filled with the chilling water of the glaciers. Day 19: Tso Rolpa to Trakarding Glacier (4800m.) Early morning you will hike through the glaciers all the way through the day and will be able to experience the new captivating beauties that would add extra dimensions into your trial. Day 20: Trakarding Glacier to Tashi Lapcha Pedi Camp (5755m. )The trail will still be moving up through some rock climbing and a steady walk on the glacier. You will camp into Tashi Lapcha Pedi Camp today. Day 21: Tashi Lapcha Pedi to Tashi Lapcha Pass (5755m.) to Tashi Cape You will climb up the Tashi Lapcha Pedi and cross the Tashi Lapcha Pass-through Tashi Cape. The completely will be entirely over the snow straight up and then steep down towards Tashi Cape. Day 22: Tashi Cape to Thyomgbo (4350m.) Today you will be experiencing a bit easy glacier walking. The trail descends towards Thyomgbo. Day 23: Thyomgbo to Thame (3820m.) Early morning you will ascend to Thame. This trail steadily descends and you will have an added experience of a more natural path and will be able to enjoy the natural beauty of the environment. Day 24: Thame to Namche Bazaar (3441 meters) 5.30 hours. From Pheriche, we take a slightly different route down to Orsho, then moving to Pangboche village. Here we can see the oldest monastery in the region which contains what is said to be the scalp and bones of a 'Yeti' or the abominable snowman. Leave mountains behind us, and our descent takes us through Tengboche Monastery at the elevation of 3860 meters before continuing back to the town of Namche Bazaar at 3441meters. We arrive back to Namche Bazaar in the afternoon. After having our Breakfast, go back over the main track down to Dudh Koshi retracing to Phakding. Following the trail, we reach to Lukla scaling different Sherpa villages crossing a suspension bridge above Thado Kosh. For about 45 minutes, we climb to accomplish the entire trek, and we reconfirm flight ticket and see off to local porters. After travelling for 35 minutes, we fly Back to Kathmandu, in the morning and move back to the hotel. 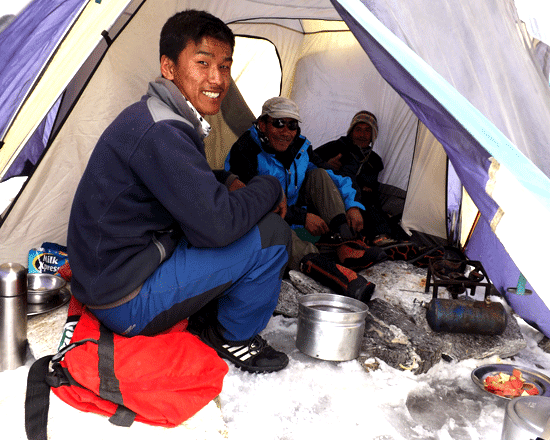 3-time meals per day during the trek (Breakfast, lunch and dinner) including the coffee and tea cook by professional camping cook. Hard and soft table drinks such as Coke, Fanta etc. during the trekking. Personal insurance which is covering Rescue operation charge.